Although we almost never hear anything about it, teen dating violence is on the rise. Nearly 1 in 3 teens report being abused by their partners and nearly half of all date rapes reported occur among teens. This last Thursday, September 20, 2012, Katie Couric focused on dating violence during her new talk show. Sharon and Lexie Love, mother and sister of Yeardley Love broke their silence to speak up about Yeardley's murder. Survivor Quasona Cobb spoke about her past abusive relationship, and the show also shared warning signs of dating abuse and how to get help. 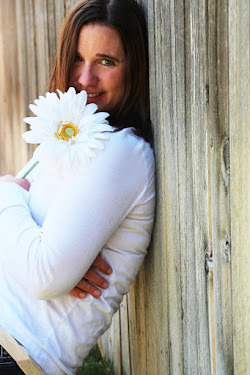 Yeardley Love, a young, vibrant college student was found murdered in her apartment on May 3, 2010. Two years later on February 22, 2012, George Huguely, Yeardley's ex-boyfriend, was found guilty of second degree murder and grand larceny. In August, he was sentenced to 23 years for 2nd degree murder and one year for the grand larceny, which are to run concurrently. Quasona Cobb is survivor of dating violence and an advocate against domestic violence and sexual abuse. Too many victims remain silent out of embarrassment, ridicule, shame, and fear. But if we don't talk about abuse, the cycle will continue. It is important to raise awareness of this epidemic. Prompt: Write a very short story that takes place entirely in a public restroom. She leaned up against the cold tile wall of the women's restroom and sank to the floor, past caring about all the germs and grim that may have been there. The muffled sound of the loud speakers announced the next bus departure behind the closed wooden door. She dropped the stick between her legs and buried her head in her hands, letting the tears flow freely. Her life was over, her dreams gone. How could she do this on her own? She grabbed the white stick that contained the news of her future and gave it one last look, hoping the results would change. But they never did. Positive. It read positive all five times. She tossed the stick across the room. It bounced off the wall with a clang and landed on the floor below the sinks. The door opened and a women walked into the tiny room, stepping over her but not acknowledging her. She watched the women disappear into one of the two stales, then she closed her eyes and took in a deep breath. The room smelled stale, of sweat and chemicals. It made her gag. She swallowed back the bile that lumped in her throat. The crackling of the loud speakers finally announced the departure of her bus. She opened her eyes and looked up at the ceiling. After a moment's thought, she dragged herself up off the dirty floor. Touching her stomach, she stared at the door. "It's now or never," she said aloud as she grabbed the cold metal handle and pulled the door open. -If you would like to join in on the writing prompt...please post a link to your website in the comments box. I would love to see what kind of story you create in a public bathroom. World Suicide Prevention and Awareness Day is observed on the 10th of September each year to raise awareness and provide worldwide commitment and action in the prevention of suicide. Every year more than 1 million people die of suicide world wide. 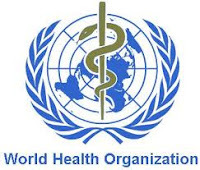 90% of those who have died of suicide had a diagnosed and treatable psychiatric condition at the time of death. Most people with mental illness do not die by suicide. This weekend, I joined over 1,500 people to participate in the Out of the Darkness Walk for the American Foundation of Suicide Prevention to raise money for suicide prevention and awareness. Over $100,000 was raised. The money goes to providing awareness and prevention training, peer leadership/support, interactive screening programs, and awareness programs for local sheriff's departments. It was a beautiful day with bright blue Colorado skies and temperatures reaching over 80 degrees. In fact, I got pretty hot a mile or so into the walk. 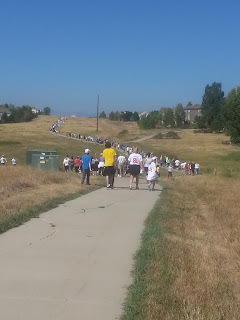 We walked around the beautiful trails that surround the suburbs of Denver with the Rocky Mountains reaching high in the background. 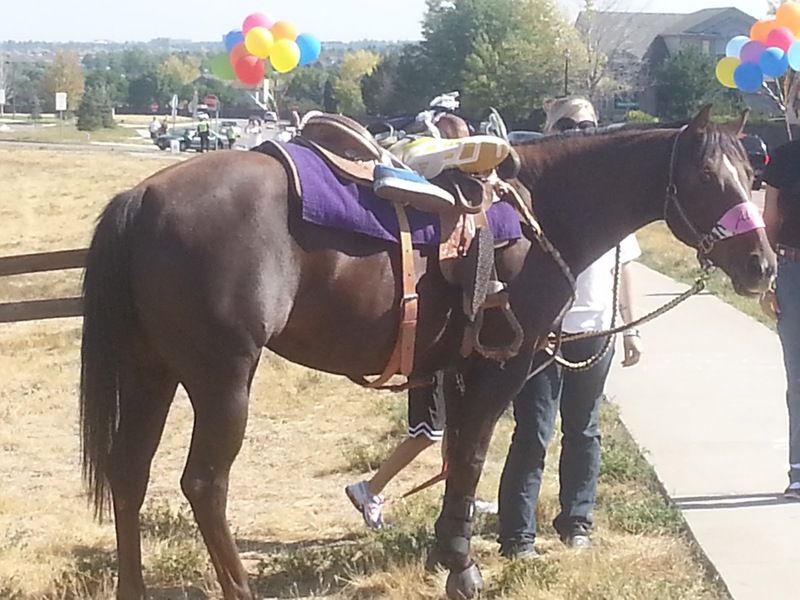 Leading the walk was one of the Colorado Crusaders Equestrian Team horses. The horse had shoes tied to his saddle in memory of those lost to suicide. 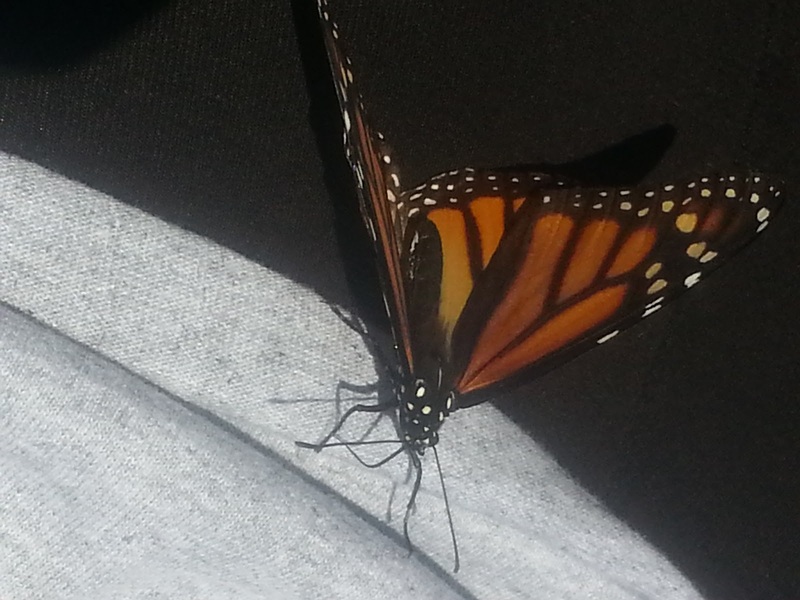 At the start of the walk, butterflies were released into the cloudless sky. 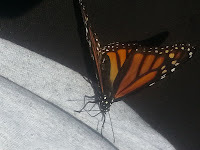 Butterflies symbolize change, and are considered to bring luck. The Ancient Greeks also considered butterflies as the souls of those who had passed away. Many local businesses and organizations came out to support and sponsor the cause. 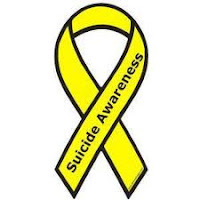 Make sure you wear yellow today to support World Suicide Prevention and Awareness Day and raise awareness in the prevention of suicide. I am amazed by all the wonderful people I have met along my path to publishing, both in person or on-line. They have been there to help answer questions, read my work, provide critique, give encouragement, and just be there when I need them. One of those amazing, wonderful people is Susan Oloier. She is extremely talented and very inspirational. And I love her writing! I just finished Superstitions this weekend. I couldn't put it down, and I didn't want it to end. I fell in love with her characters and related to their struggles. I also fell in love with the landscape of the Arizona mountain/desert and enjoyed how she pulled them and their legends into her book as its own character. I laughed and cried with Ellie (the main character) the whole way through the story. 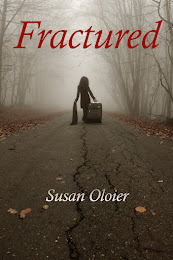 In both Fractured and Superstitions, Susan's characters are well developed and emotionally deep, her story lines are engaging and realistic. I highly recommend reading her books! Ellie’s mother walked out on her a few years ago, and she refuses to believe her mom won’t come back. To make matters worse, her dad is marrying another woman and her best friend Kyle dumped her for cheerleader Tiffany Sheldon. But when Ellie meets quirky Alexander and learns about his map, his quest, and his background, she finally discovers a way to heal. Also available in paperback through Amazon Create Space. When Anna Kincaid has a miscarriage, her world comes crashing to a halt. Grief overwhelms her life and she combats it with prescription medication. Her husband Lloyd does not see the event as tragic. In fact, not ready to be a father, he is relieved at the news. This creates a chasm in their marriage and splits them apart. Both Anna and Lloyd find themselves moving in different directions. Anna finds hope in a young, male colleague named Ben and comfort in her narcotics. Lloyd loses himself in work. Will their marriage survive the miscarriage, or will it always remain fractured? 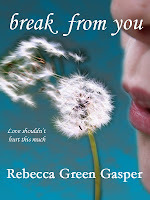 Purchase ebook at Amazon and Smashwords. Also available at Amazon UK. Trade paperback can be purchased through Amazon. It isn’t easy being the last remaining person at the dinner table or being forced to square dance with a group of sweaty seventh graders in a school cafeteria. 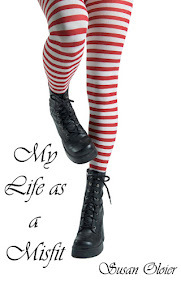 My Life as a Misfit recounts growing up in the 1980s from a humorous and less-than-popular perspective with such stories as "Do-Si-Don’t", "Riding a Permanent Wave", "Baseball", and "The Food Critic". Make sure you head on over to Susan's blog! I know I don't normally post on the weekend, but I couldn't wait. Head over to Susan Oloier's blog today. She is an extremely talented writer and very inspirational. And...she is featuring my cover for Break From You. While you are there, check out her amazing books. 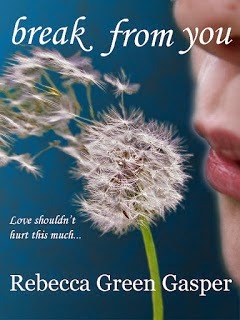 I loved Fractured and am looking forward to reading Superstitions this weekend. 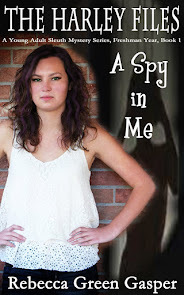 Make sure you keep a lookout for my Tuesday post where I will be featuring Susan and her books. 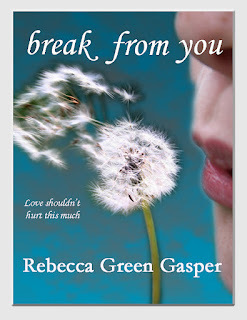 And here is the cover for Break From You once again. Love shouldn't hurt this much.